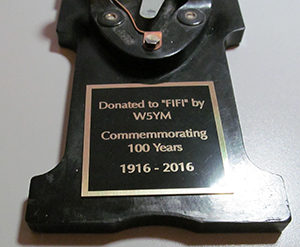 The plaque attached to the authentic J-37 key donated to the Boeing B-29 Flying Superfortress “FIFI” in 2016 to commemorate W5YM’s 100 year anniversary. 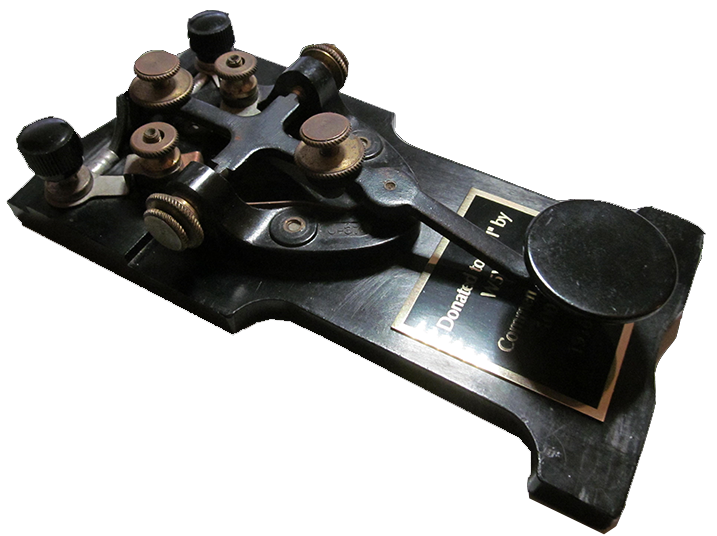 As noted in the inscription, this donation commemorates W5YM’s one-hundredth year of being licensed as an amateur radio station. More information on the donation can be found on the b29radio.com website. A special thanks to Dan Puckett, K5FXB, for making the arrangements for the gift.